A financial planner should be a trusted professional who provides ongoing assistance to you and your family. They will develop a plan to assist you in meeting your financial and lifestyle goals. The plan should take a holistic approach to your financial wellbeing and might initially involve issues such as budgeting, superannuation and personal insurances but could also be extended over time to include strategic issues to improve your financial position. ​How can a financial planner assist me? A good financial planner will start by asking questions to ascertain your current situation and needs. They will then use that information to devise strategies that will assist you in improving your current situation and in reaching future financial or lifestyle goals. Importantly, your financial plan shouldn’t be a static document. The plan will evolve as your personal circumstances change and as you reach different stages in life. A good financial planner will be in ongoing contact with you to assist in this process. A good financial planner will also explain their advice clearly and concisely. It’s no use having a financial plan if it’s just a document that sits around gathering dust because it was never properly explained or was never devised appropriately for your goals. Your planner should ensure that their advice is understood and that they have made it clear to you what actions they are recommending that you take to achieve your goals. Why is it important to seek expert financial advice? Financial matters require expert advice in the same way that you would seek professional advice for legal or taxation issues. A professional financial adviser will assist you in navigating the complexities of the financial landscape while also alerting you to opportunities to help you reach your goals. Some people elect to manage their own finances without the assistance of a professional financial adviser. This can be effective if you’re familiar with superannuation, taxation and insurance regulation, keep abreast of developments in investment markets, understand how to manage your budget effectively, understand how different investments can help build wealth and have a good understanding of how to effectively plan for retirement. Those who don’t have an in depth knowledge of the above issues, or who don’t have the time to devote to their financial plan, will benefit from consulting with a professional financial planner. I have an accountant, do I also need a financial planner? Accountants generally specialise in taxation and business advisory matters but many are not qualified to provide full financial advice. As financial planners and accountants have different areas of specialisation, it’s advisable to utlise the services of both to obtain the optimal benefit. Ideally your accountant and financial planner should be willing to communicate to ensure that your accountancy and financial planning matters are co-ordinated and consistent. I have a stock broker, do I also need a financial planner? Stock brokers generally specialise in providing investment advice – for example, they might provide you with advice on an appropriate share portfolio. A financial planner’s role is to take a holistic approach to your financial position and to develop a plan that aims to achieve your goals. This will likely incorporate investment advice, for which you may elect to use a stock broker in conjunction with your financial planner. Generally the role of a financial planner is broader than that of a stock broker. What should I be looking for when choosing a financial planner? They should be open about their ownership structure and any alignments that they have with any other financial institutions. It pays to ask questions of your adviser until you’re satisfied that they’re the right person to assist you. Do I need a certain amount of wealth to benefit from a financial plan? No. Some people want a financial plan to help them manage their current wealth, but many financial plans deal with your future goals and wealth that hasn’t been achieved yet (and strategies for how you will generate wealth in the future). Many financial plans also include insurance strategies for protecting you and your family from risks that might derail the achievement of your goals. 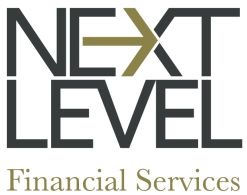 Why should I speak with Next Level Financial about my financial plan? We are a privately owned, non-aligned firm that finds solutions that help our clients achieve their goals. Our advisory team is experienced, well-resourced and qualified to provide a wide range of services to a diverse clientele. What is the process for devising a financial plan? Step 1 – identify your goals. What are your ambitions (lifestyle and financial)? What do you envisage in your future? Why are you seeking a financial plan? Translating your goals into a strategy (financial plan), which is a road map for your future. Putting the strategy into action. This will include specific recommendations for products and services that will help you achieve your goal(s). It’s very important, in our view, that the process follow the above order as any good financial plan is based on helping you achieve your goals. If the plan is devised around a particular product or service without reference to your goals then it’s designed to fail. What is the purpose of the first meeting? From your perspective the first meeting is an opportunity to ask questions and to determine if you feel that Next Level is the right fit for your needs. From Next Level’s perspective we use the first meeting to ask questions to obtain an understanding of your current circumstances, your goals, your needs and what’s important to you. This is step 1 in our financial planning process and provides us with the information to develop an appropriate strategy for you. On occasion a subsequent meeting is scheduled to enable both parties to obtain the information that they need to proceed. What financial documents do I need to bring to my first meeting? The most important preparation is to give some thought to your goals and what you’re hoping to achieve from the process. It can be a good idea for couples to discuss this beforehand, although this isn’t mandatory. It will help to have to hand any documents relating to your superannuation, any investments, personal insurances, income and expenses - although we can obtain relevant information at a later time if you prefer. What sort of feedback can I expect from the first meeting? It’s critical that you leave the meeting with a good understanding of Next Level as a firm to make an informed decision as to whether you think that we can be of assistance to you. We encourage you to ask as many questions of us as you wish to help with your decision. During the meeting we will ask a lot of questions and will provide a verbal overview of our understanding of your goals and some of the key issues that we think are important to assess in your financial plan. We will also provide you with some documentation that provides more information about us and how we interact with our clients. Importantly, we will not provide any direct advice or recommendations in this meeting. Such feedback can only be provided after careful consideration of an appropriate strategy and will always be provided in writing. No, the first meeting is complimentary. When and how is the financial plan delivered? We commence work on your financial plan only when you approve us to do so and only when we have sufficient information to do so. This will always be after the initial meeting(s) and we may come back to you to ask for further detail where required to ensure that we have a thorough understanding. The financial plan is always delivered in writing in the form of a Statement of Advice. This is a formal document that outlines our recommendations, strategies and all other information relevant to the achievement of your goals. We deliver the Statement of Advice to you in person with accompanying explanation to ensure clarity and understanding. The Statement of Advice typically takes 3-4 weeks to complete from the time that you confirm that you would like us to proceed. This timeframe may vary depending upon the complexity of the strategy under consideration. What happens after the financial plan is delivered? It’s very rare that the delivery of the financial plan is the last contact that you have with us. Financial plans shouldn’t be static and should be reviewed on a frequent basis. When the Statement of Advice is delivered we will put to you a proposal for the type of ongoing services and reviews that we believe are necessary to ensure successful execution of the plan. Any ongoing advice and services that we provide are governed by an ‘Engagement Agreement’ that outlines what you can expect from us, when it will be delivered and how success will be measured. We aim to meet with all clients at least annually but in many cases we meet with clients more frequently than this to ensure that their financial plan remains on track. Do you offer after hour appointments? Yes, we’re happy to meet after hours if it’s more convenient for business or family reasons. Do I need to meet at one of the two offices? No, we’re happy to meet at your home, office or other venue if more convenient to you. Depending on the topics being discussed, it can be more advantageous to meet at one of our offices if we need to refer to any documentation or software. Does Next Level have interstate clients? Yes, we have many clients outside Victoria. We frequently travel interstate for face to face meetings with clients and we use services such as ‘Skype’ to contact interstate clients when not in person. We engage with clients on a ‘fee for service’ basis. This means that we charge a fixed fee for our services that is transparent and agreed up front. The only exception to fee for service is the potential for commission payable by the insurer for personal insurance advice as we often find that this is an easier means for our clients to obtain this type of advice. We do not accept commissions or payments from any other product or service provider. Typically we levy a one-off fee for the preparation of the Statement of Advice. Any ongoing fees depend upon the services being offered and are commensurate with the time and attention required. All ongoing fees will be outlined in our Engagement Agreement and no fee will ever be charged without your prior knowledge and consent. This depends upon your needs. We assist some of our clients to invest directly into investment markets where this is appropriate for them and we also use investment/superannuation platforms (also known as ‘wraps’) where feasible and cost effective. We also employ specialists in self-managed superannuation funds, which can be an effective structure for some clients. We’re qualified and experienced in investing in shares (domestic and international), property (aside from direct property), fixed interest and other asset classes as appropriate. What sort of portfolios do you recommend? Where practical we recommend that our clients invest directly in shares and products such as exchange traded funds. We favour this form of investment for its cost effectiveness and liquidity. We also recommend managed funds where appropriate to your situation. How do you determine an appropriate stock portfolio? We obtain research and insight from a range of specialists including stock brokers, independent research houses and a specialist in dynamic asset allocation. We collate their views into our own assessment of appropriate portfolios relevant to your situation. The research that we obtain is timely and we pass on such insights via ongoing portfolio reviews and recommendations. We also have access to a provider of Managed Discretionary Account services where this is appropriate to your needs. Can Next Level review my personal insurances and offer alternatives? Yes, this is one of our areas of specialty. What types of insurances does Next Level offer? We provide advice on life, total permanent disablement, trauma, income protection, business insurance and key-man cover. Our advice includes recommendations on the appropriate types of cover, the appropriate levels of cover and the appropriate structure of cover. We also take into account ways in which the cost of cover can be reduced by using tax effective strategies. Is it appropriate to hold insurance cover within superannuation? It can be in the right circumstances. This requires an analysis of what covers you require, what tax advantages might be available to you, the impact of relevant legislation and the purpose of cover. Next Level can assist in all these areas. What superannuation services do you provide? We assist clients in setting up a superannuation fund, consolidating multiple funds, organising employer contributions and establishing superannuation pension accounts. Can Next Level assist me with superannuation contributions? Yes. Determining appropriate superannuation contributions is a cornerstone of retirement planning. Is a self-managed superannuation fund appropriate for me and can Next Level assist me in setting up a SMSF? A self-managed superannuation fund (SMSF) can be effective for some people but determining the appropriateness requires detailed discussion. Among other things it’s critical to understand the pros and cons of SMSFs as well as issues such as costs and the responsibilities of the trustees of the fund. Next Level can assist in all of the above areas and can co-ordinate the establishment of a SMSF if it’s determined to be appropriate to you. Do you have product providers who you must recommend? No. We’re free to recommend a range of product providers in all areas in which we specialise. Do you have preferred product providers? No. We assess the appropriate products from a range of specialists and recommend the one that believe to be the most appropriate to you. We don’t obtain any financial or other benefit from recommending one provider over another. Do you interact with other professionals? Yes. We have trusted professionals who we refer to for their specialist advice. This includes tax, accounting, business advisory, lending and legal services. Where appropriate we refer our clients to professionals in other fields to ensure that they’re receiving the best possible advice across all services. Our clients are not obliged to utilise services referred to them if they prefer to use their own trusted professionals. For a no obligation discussion with one of our financial advisers please contact us on 03 9188 4254 or email invest@nextlevelfinancial.com.au to book an appointment.